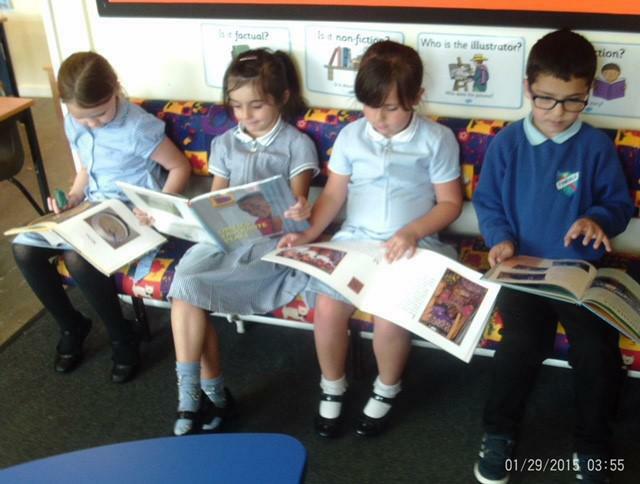 This week in Eagle we have started looking at a new book called Threadbear. 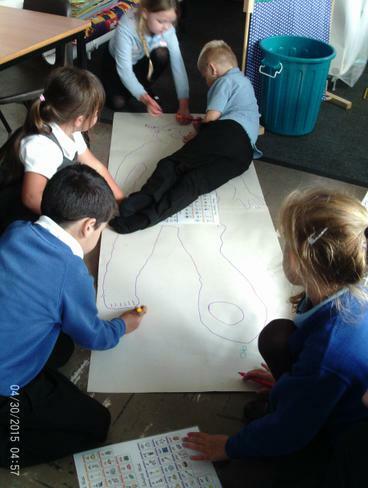 We read a description of Threadbear and the children drew what they thought he might look like. 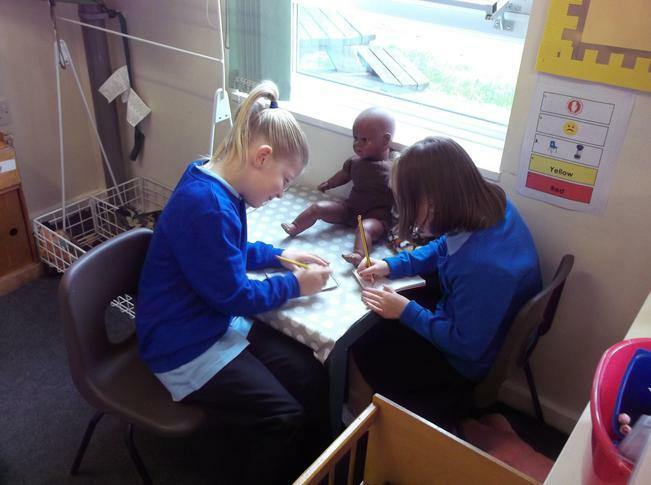 Throughout the week, we have developed our English by writing descriptions about Threadbear. 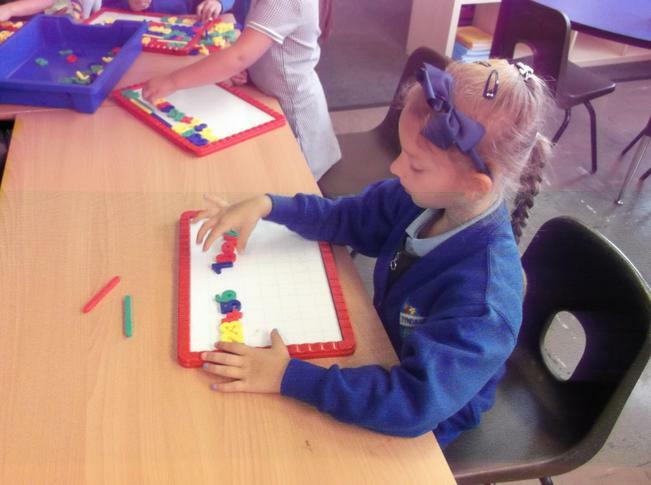 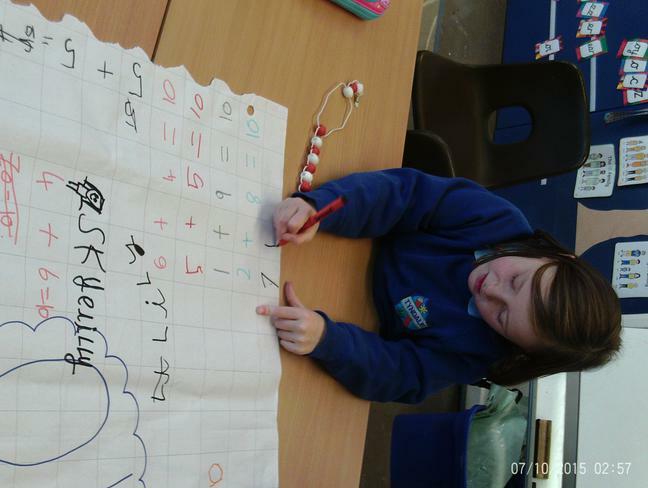 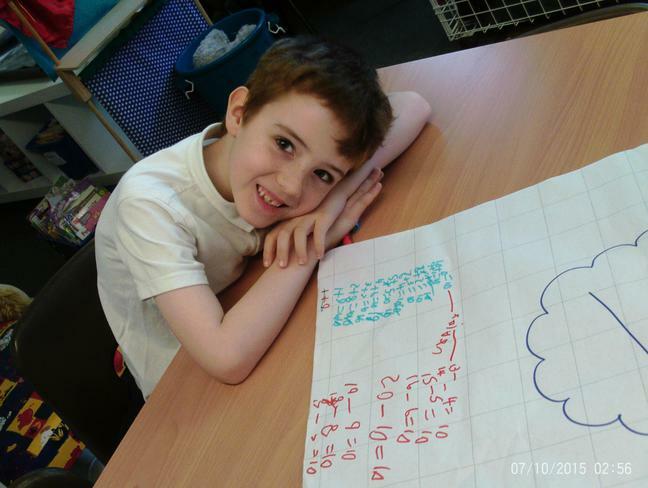 In Maths we have been practising our 2s, 5s and 10s. 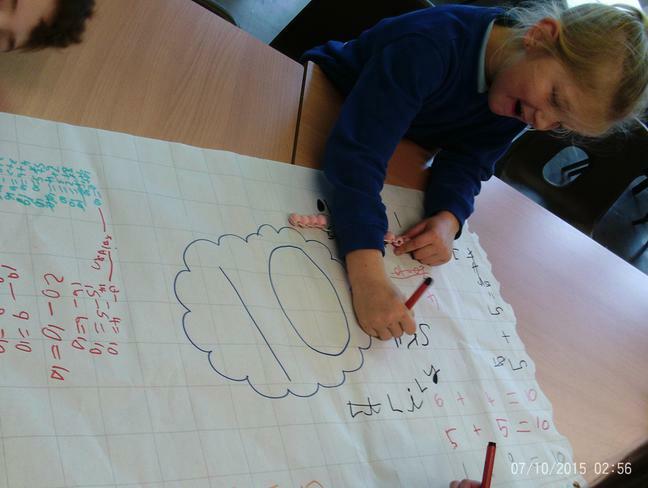 Eagle class have really enjoyed combining their 2s, 5s and 10s knowledge with money. 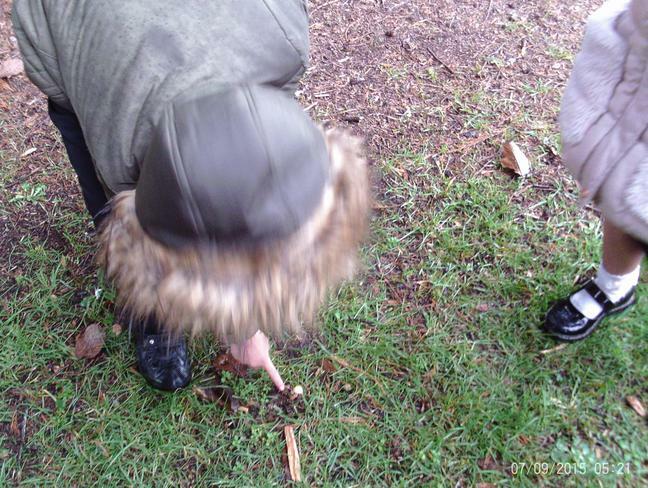 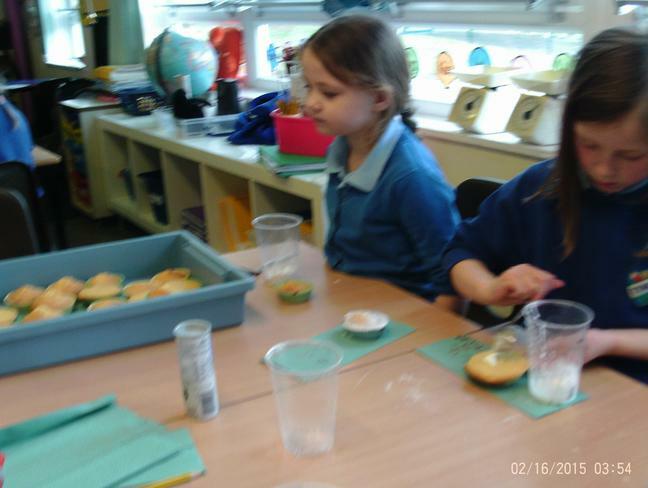 In Science we have been looking at snails. 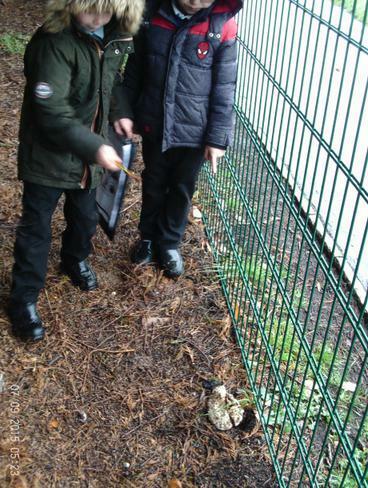 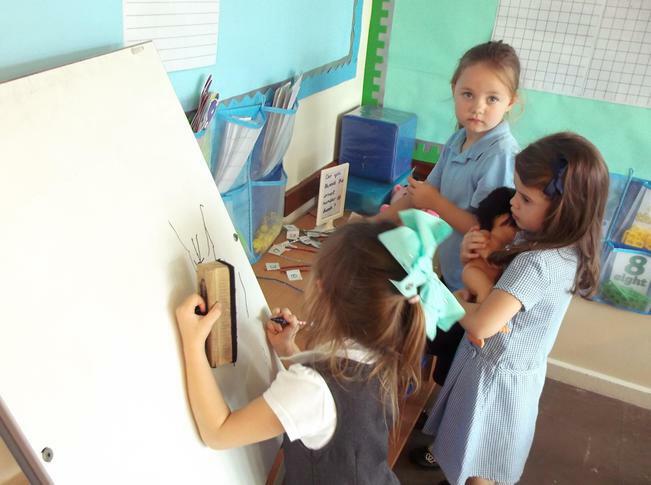 The children really enjoyed drawing and labelling snails and looking at where they live. 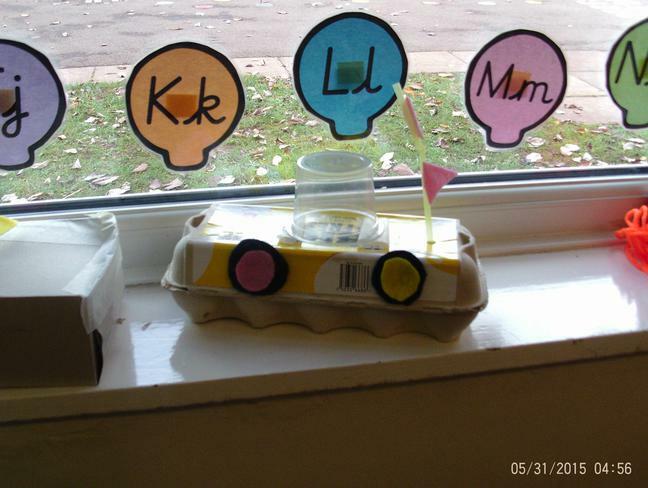 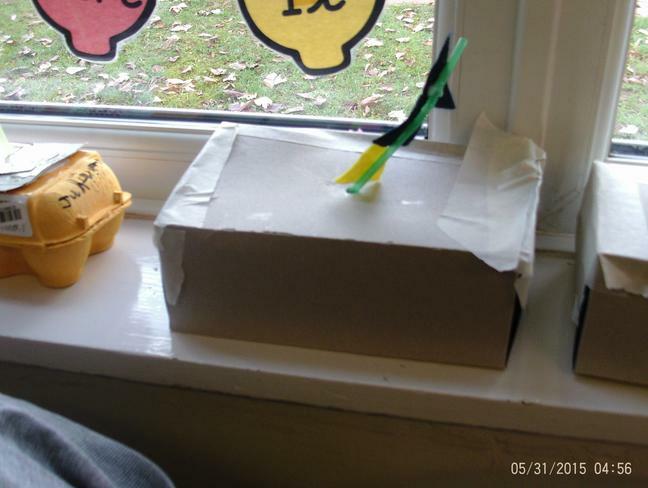 We designed our own snails investigations and we are very excited to do an investigation on snails next week! 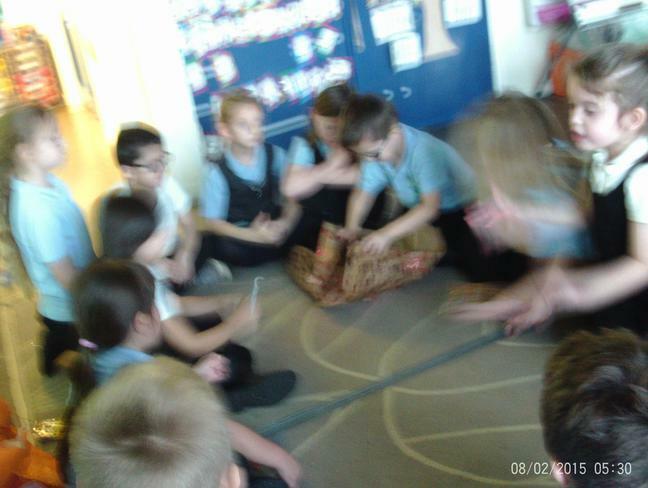 We've been learning about our new topic, Africa, through our new text, Lila and the Secret of Rain. 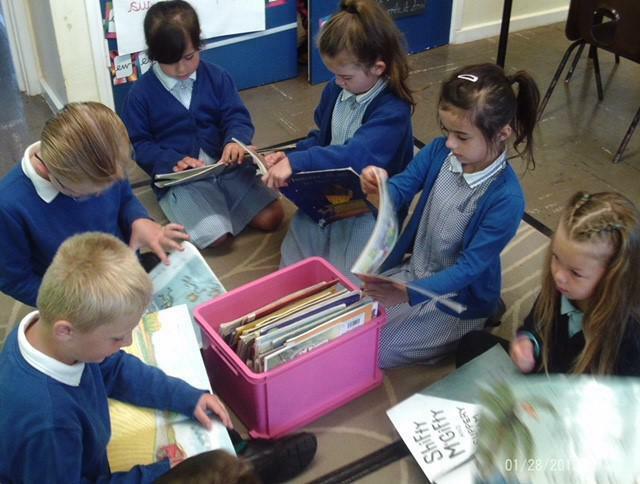 The book takes place in a small village in Kenya. 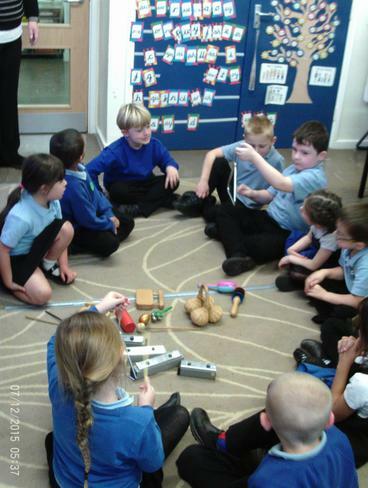 We love retelling the story to each other using the book and different items. 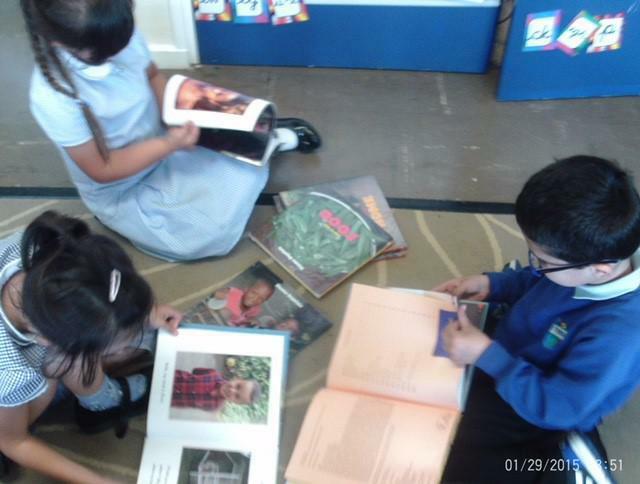 We've been exploring Africa via picture books and online research. 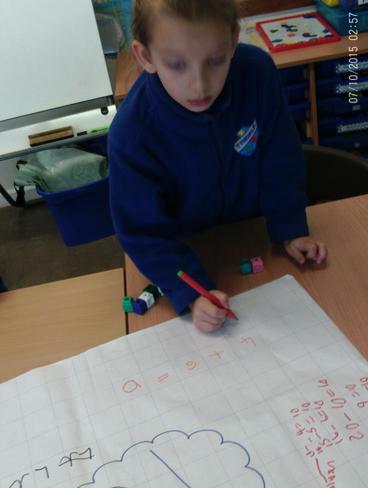 In Maths, we've been securing our place value learning through coins. 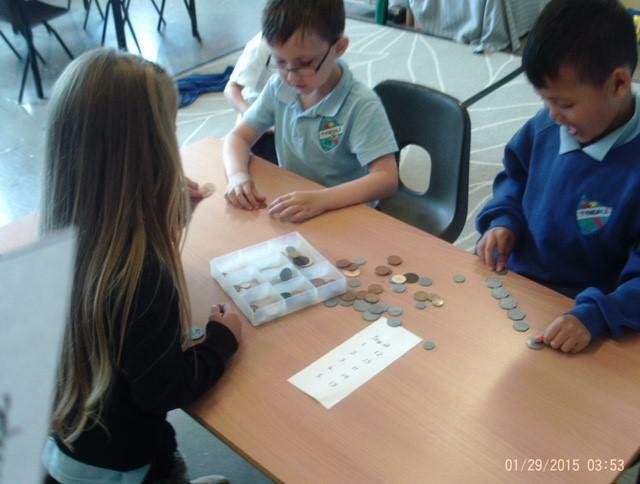 We've been learning to identify and understand the value of coins! 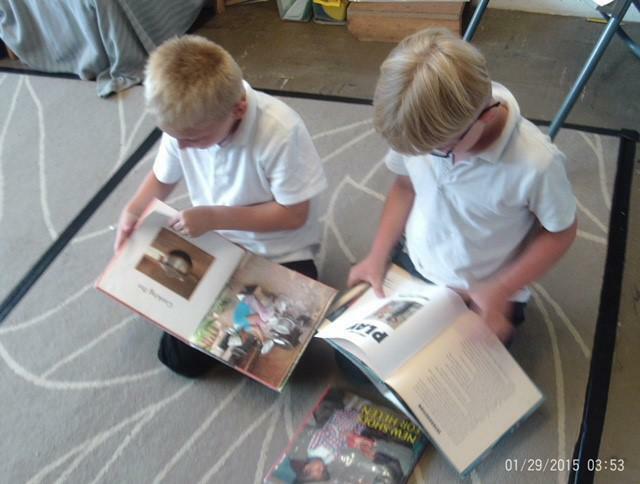 We also really enjoy finding new books to read during our independent reading time in the morning! 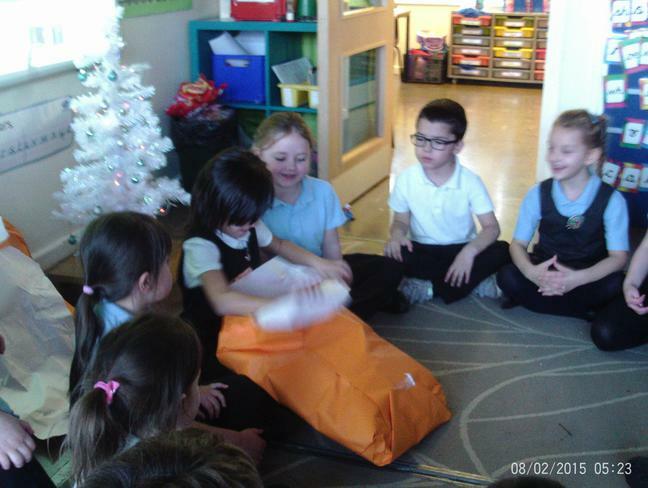 In Eagle class our teacher is Mrs Grainger. 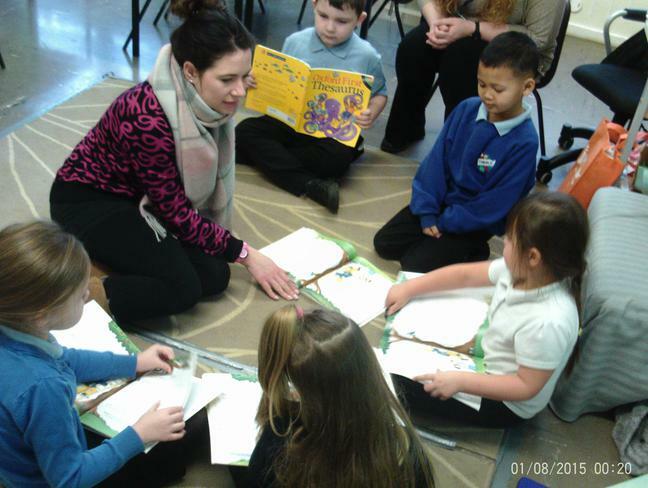 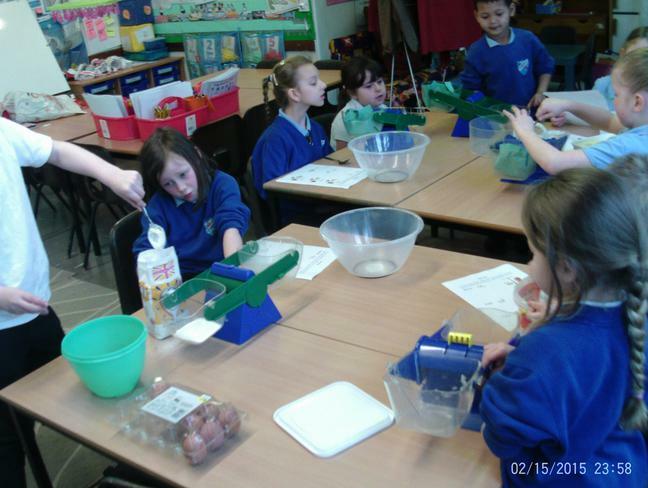 Mrs Sparey and Miss Wilson will also be supporting our learning in class. 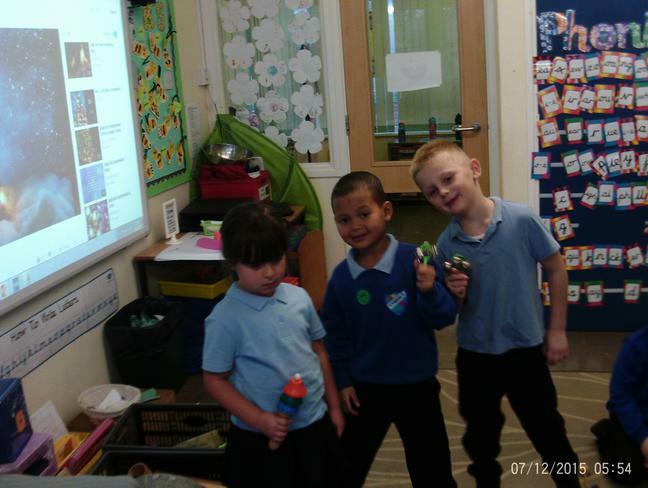 Our PE lessons will be on a Tuesday and a Thursday, please ensure your child has their PE kit in school for these days. 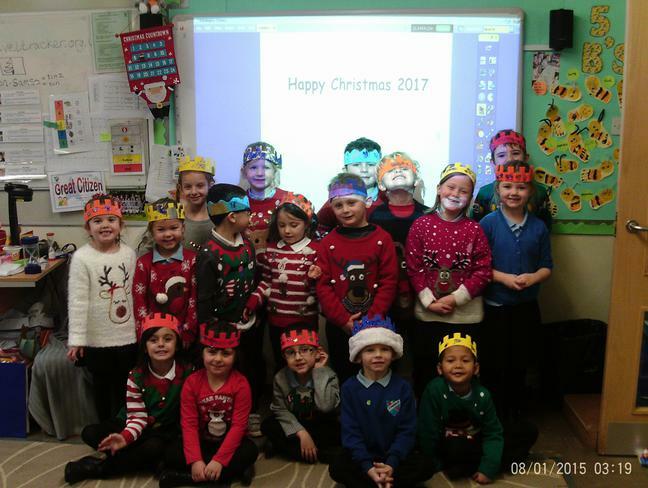 To celebrate World Book Day 2018 we were invited to dress up as a character. 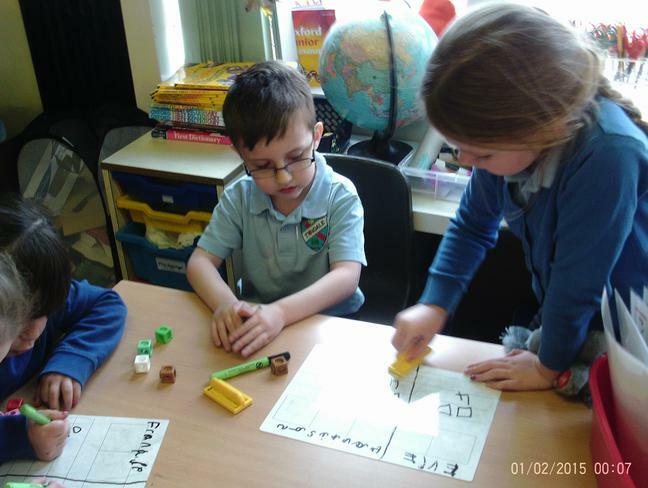 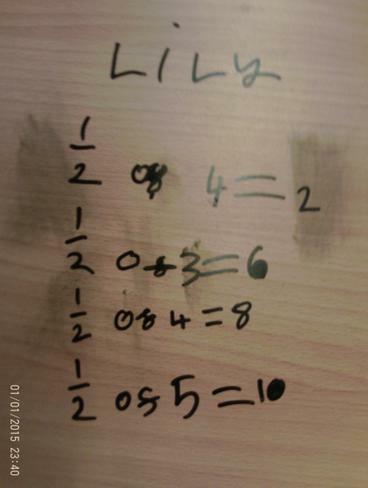 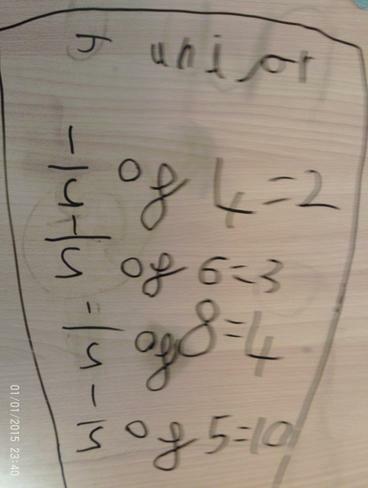 In Maths we have been finding half and quarter of objects and quantities. 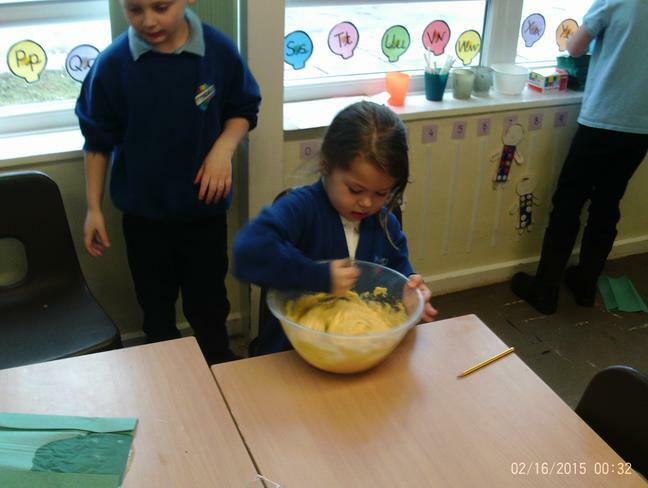 We have been using playdough to practically show fractions of a whole. 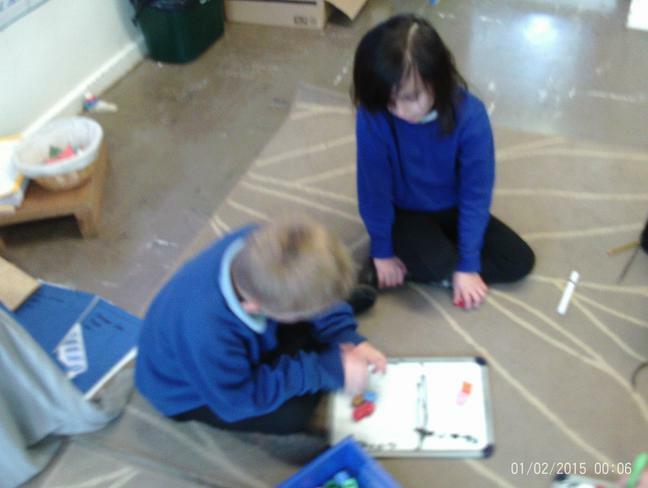 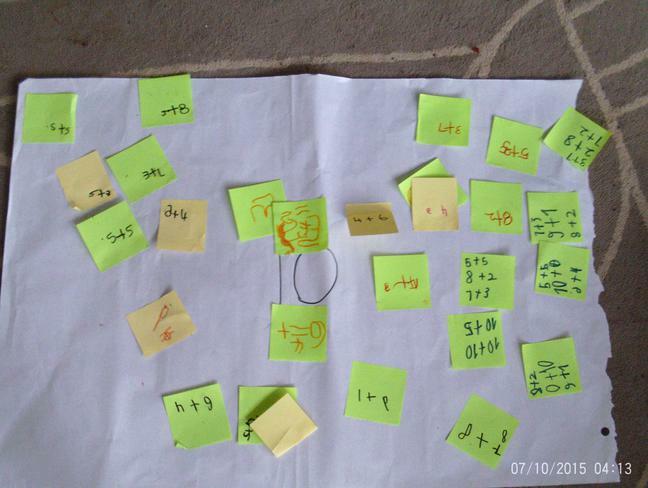 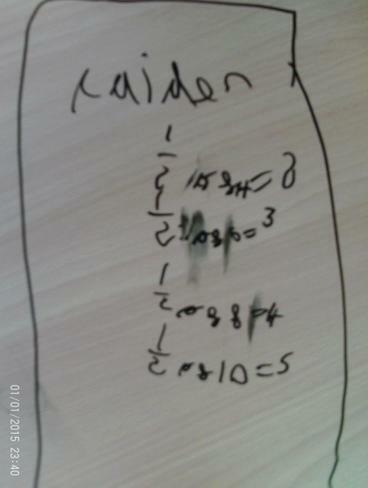 We have also been working with a partner to find half of a number and record our findings as a picture. 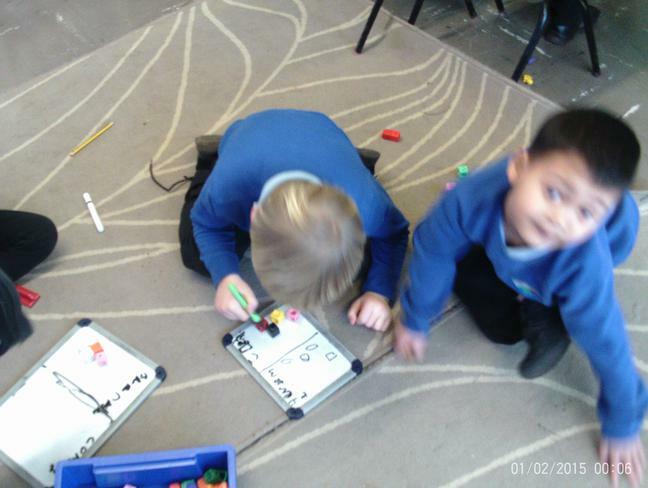 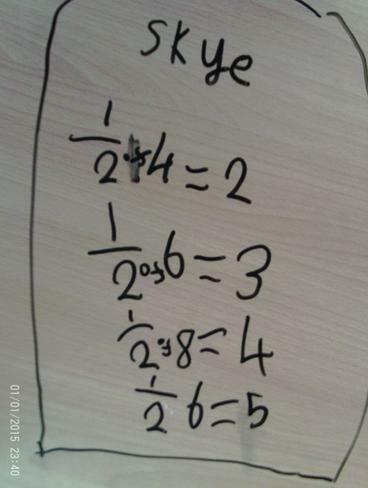 Year 2 have gone on to record there findings as written fractions. 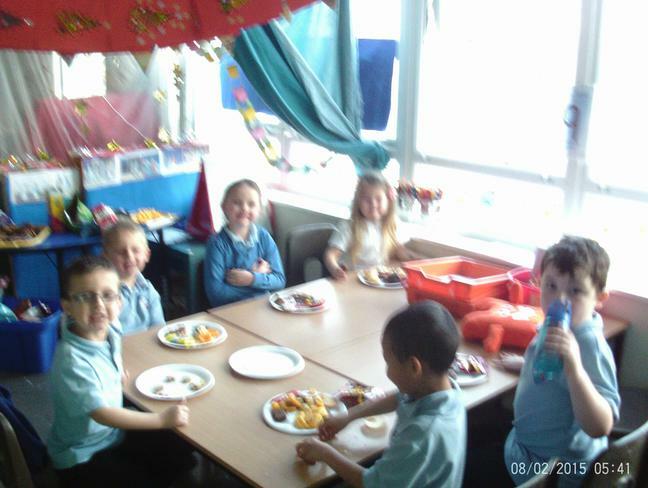 To start our learning about The Tiger Who Came to Tea we planned what food we would like at a tea party. 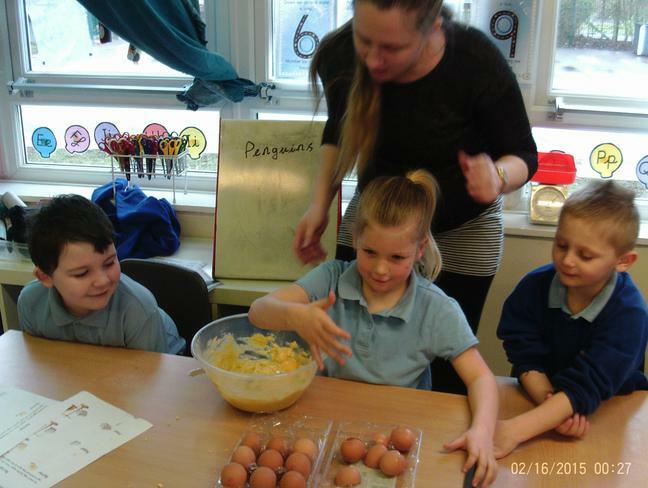 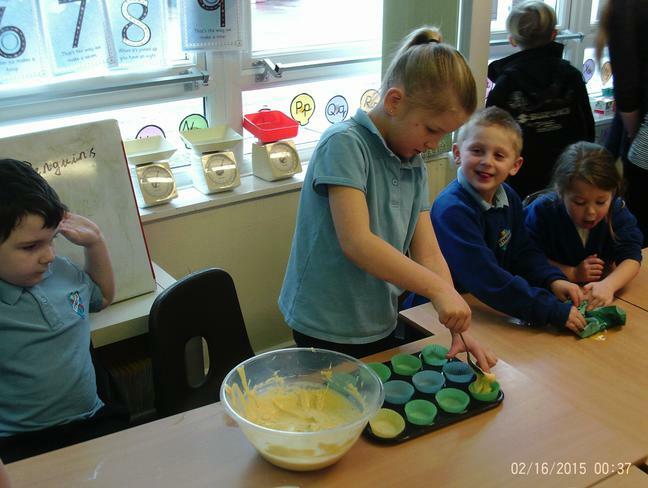 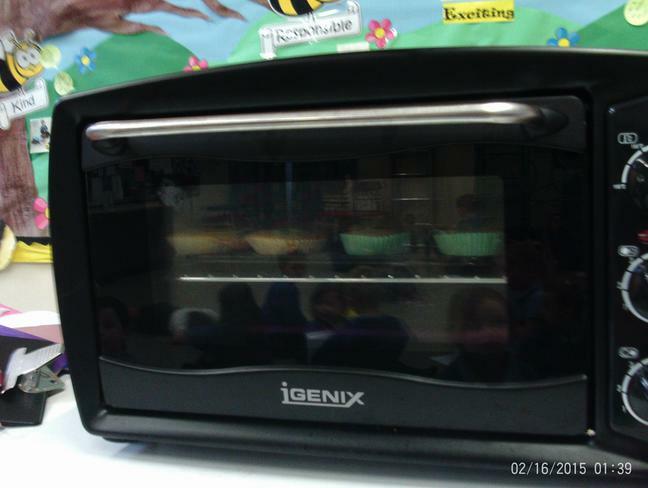 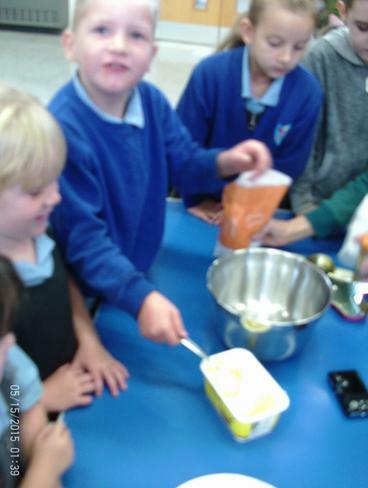 We then followed a recipe using our learning about weight and scales to make cupcakes. 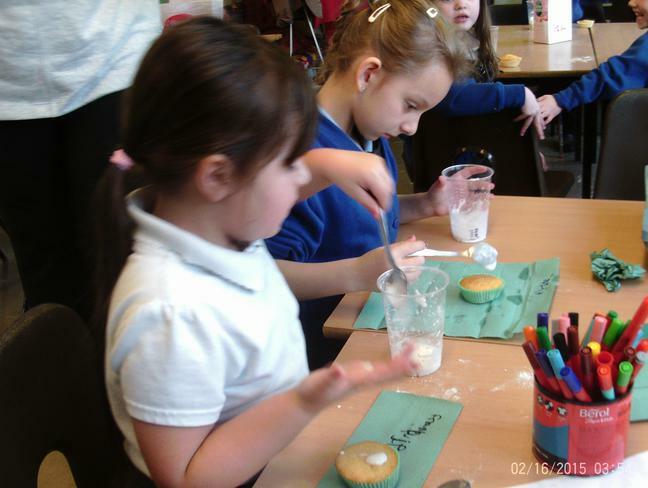 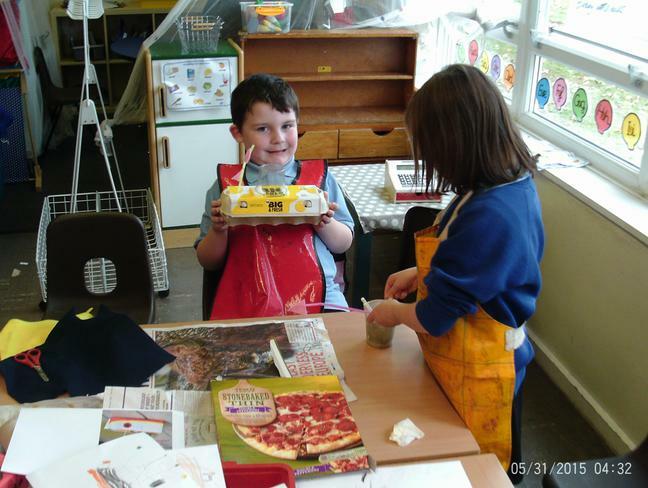 After our cakes cooked and cooled we made our own icing to decorate them. 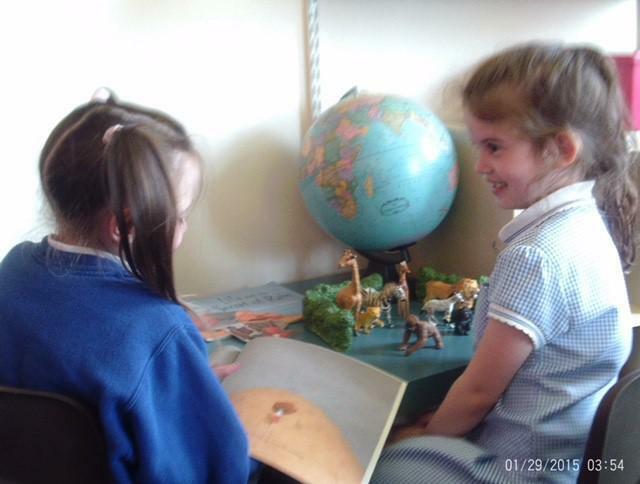 In English we have been learning to retell the story of Lost and Found. 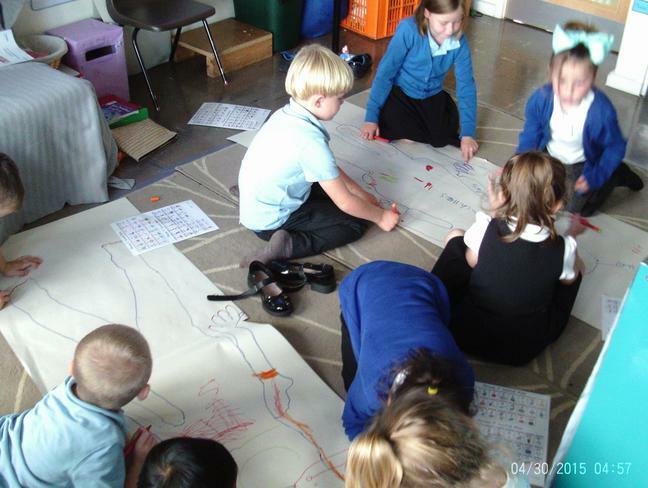 We have made our own story maps and have been learning actions for key words in the story. 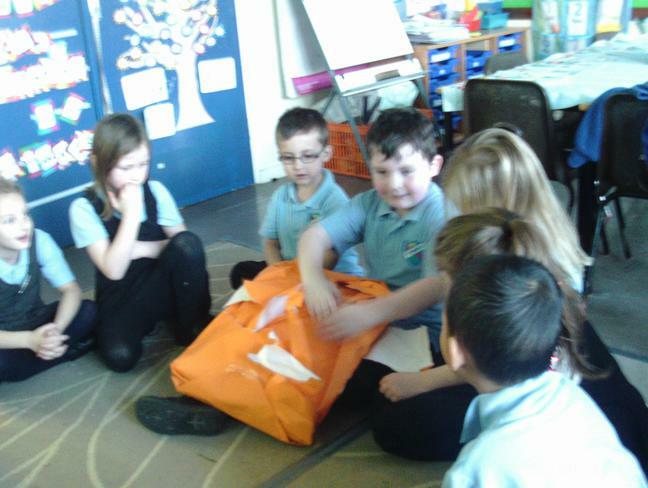 We have been finding out about the South Pole in Antarctica and we are now beginning to make up our own stories about a different Antarctic animal who is lost. 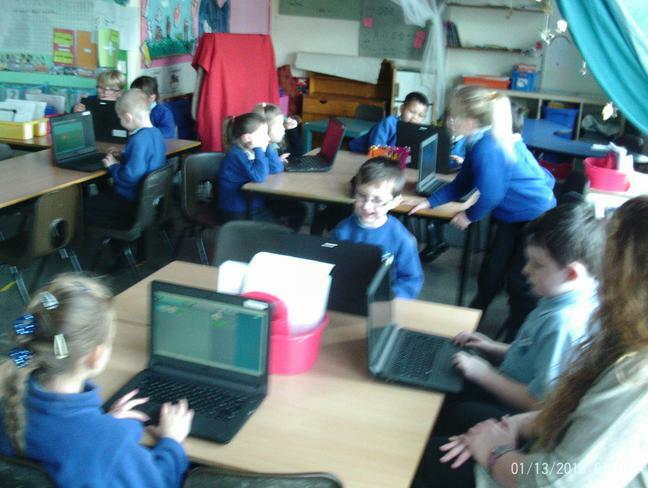 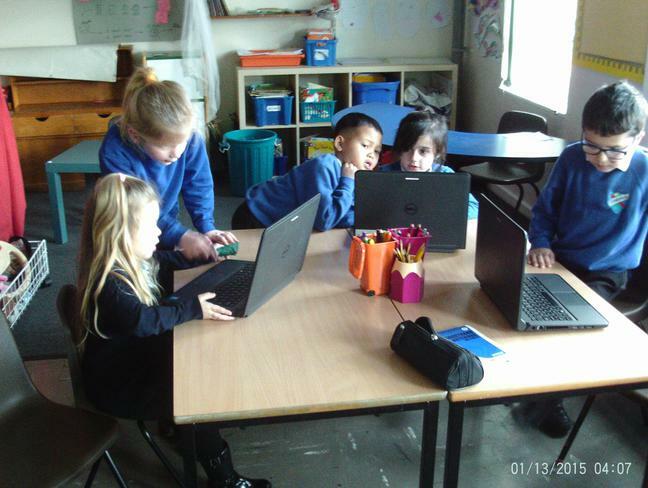 We have been learning how to write code on the computer to make objects move. 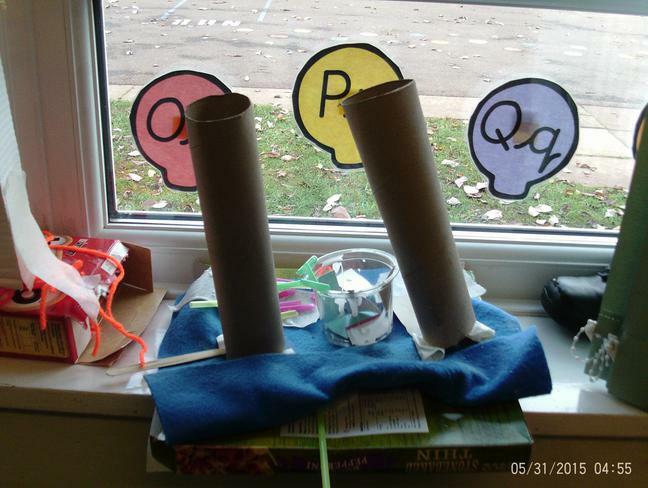 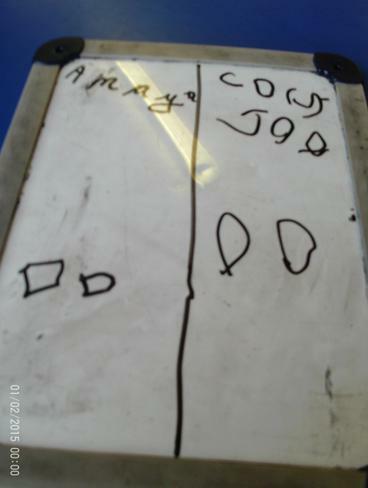 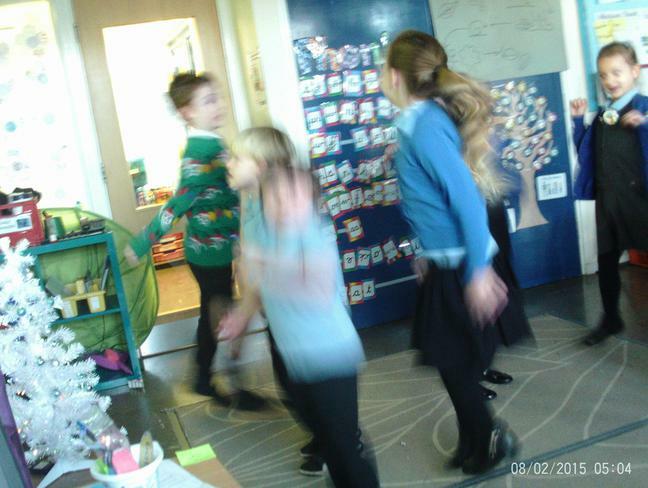 We have been moving objects forward, backward, up, down and start when clicked. 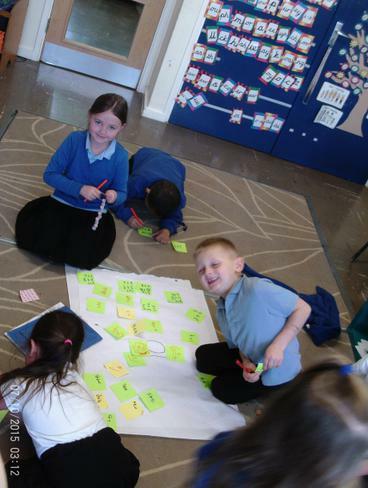 In English we have been thinking of different words we could use instead of happy and sad in our writing. 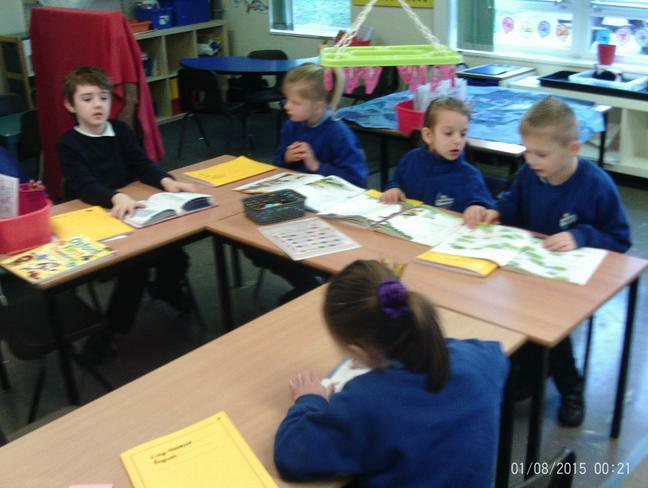 We learnt how to use a thesaurus to help us find more words we couldn't think of. 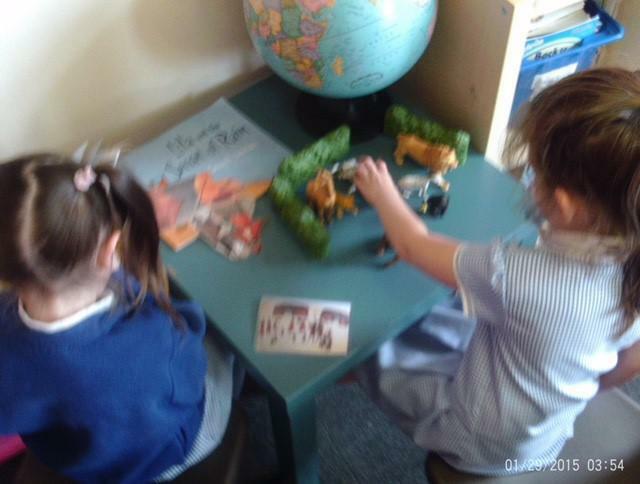 In our Topic lesson we looked at Antarctica and noticed the different cool colours in the landscape. 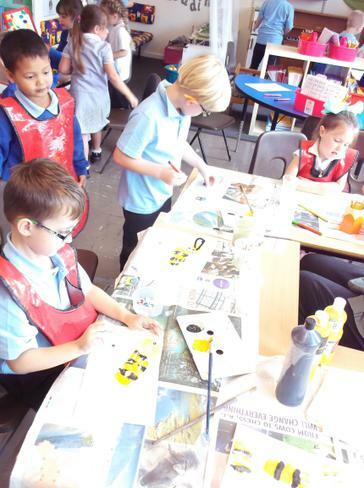 We explored colour mixing to make different shades of these colours to make our own landscape display. 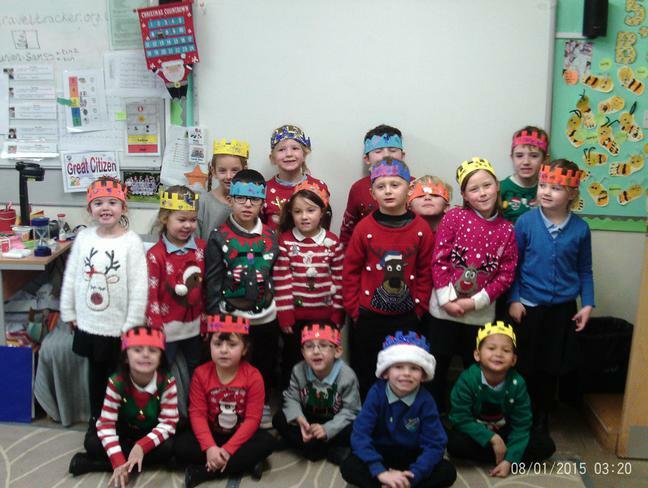 We made crowns and wore our Christmas jumpers to eat a delicious Christmas lunch. 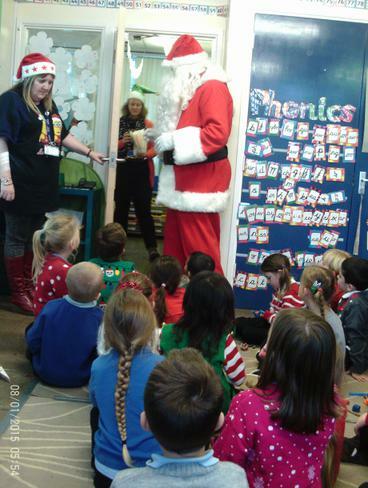 After lunch Father Christmas came in to visit and he gave us each a gingerbread man biscuit. 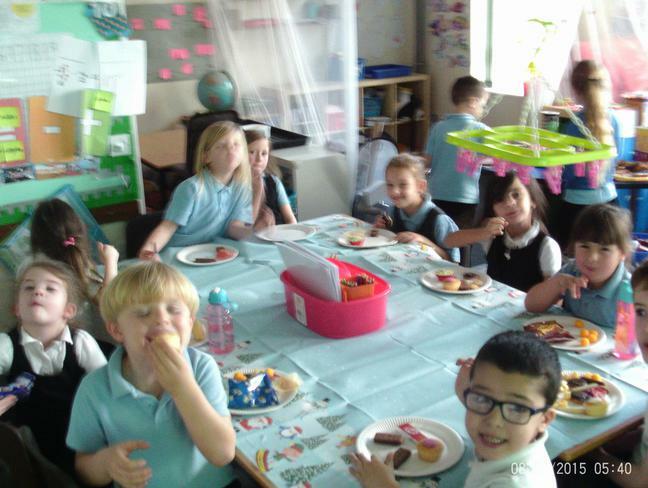 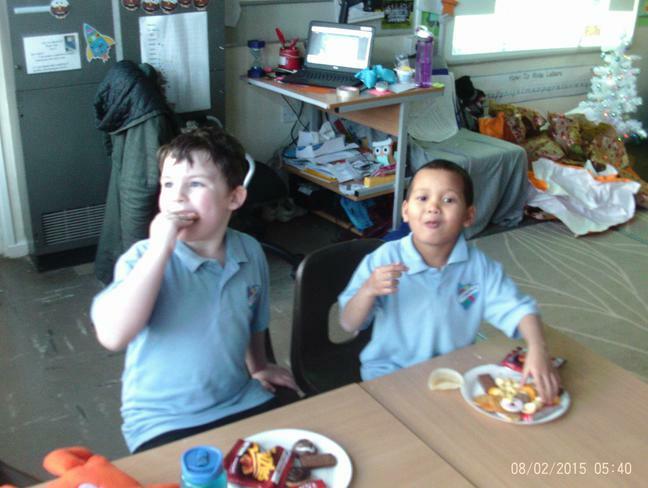 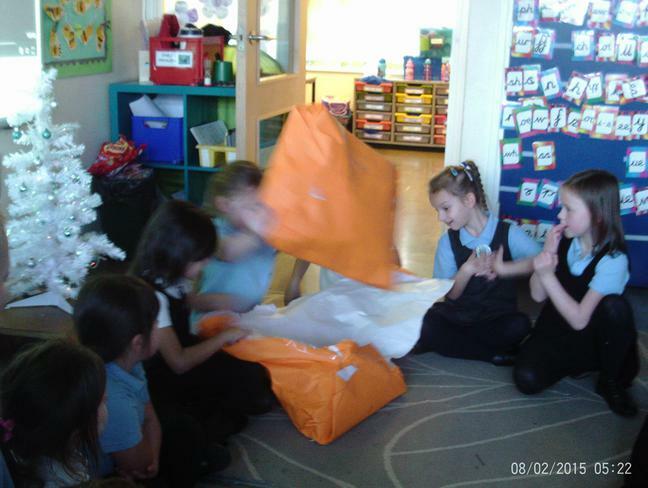 We have also enjoyed a class party where we played party games including musical statues and pass the parcel before sitting down to share the food we had brought in. 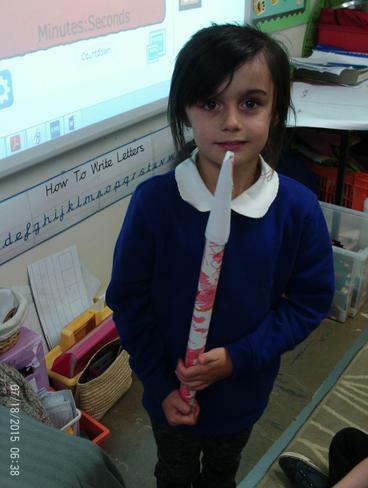 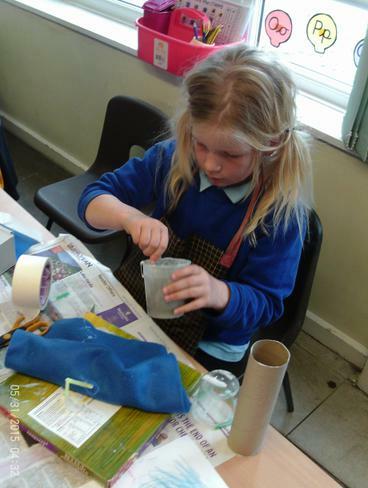 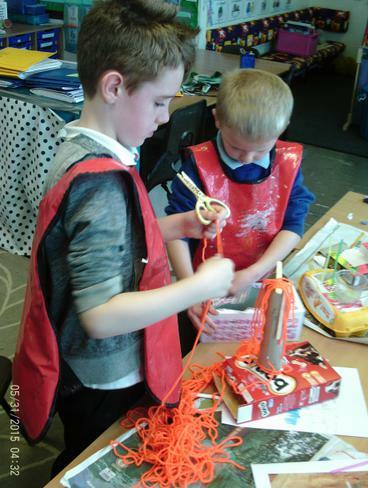 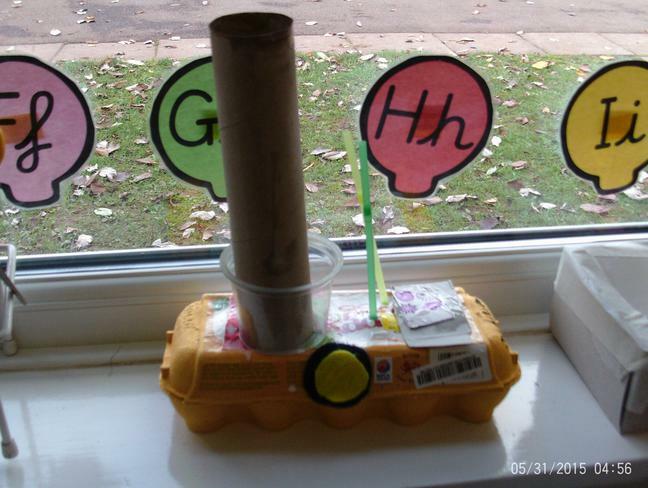 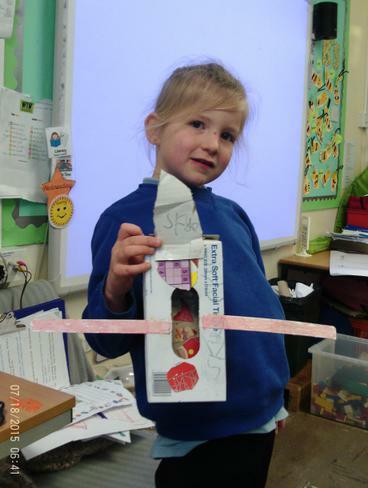 As part of our learning about the Moon landing we designed and labelled our own rockets to take to the Moon. 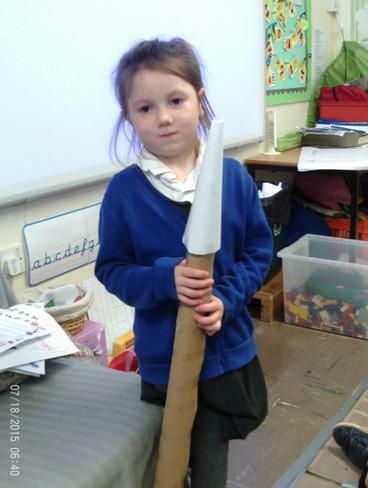 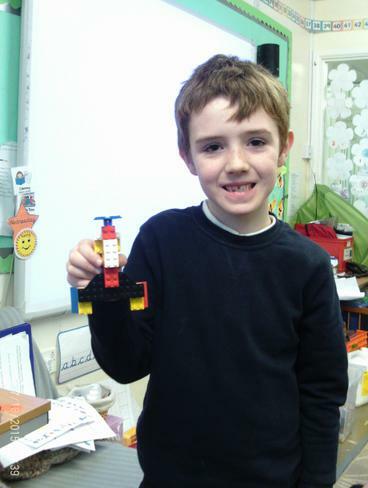 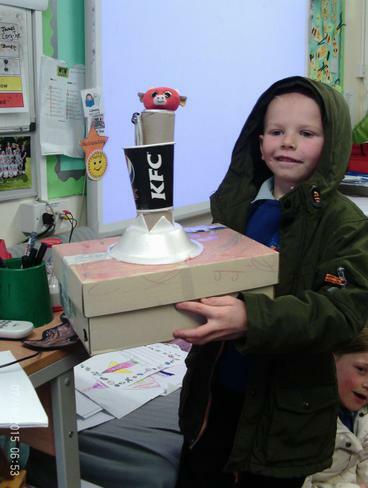 After we finished and discussed our designs we made our rockets choosing what we would like to use; some of us chose to make junk model and Lego rockets. 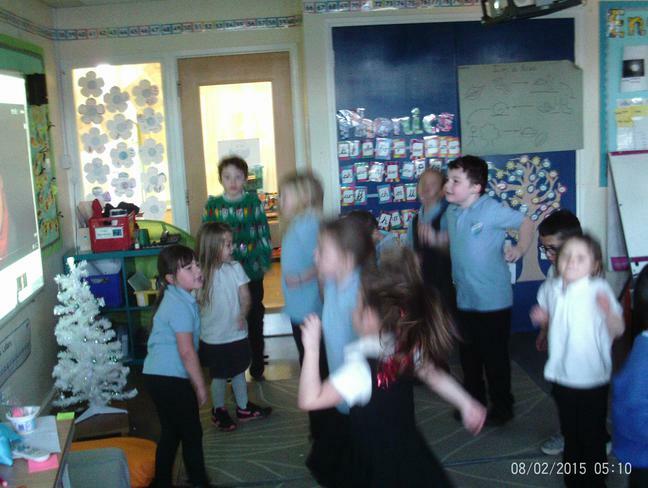 We listened to Christmas music and thought about the different sounds we could hear. 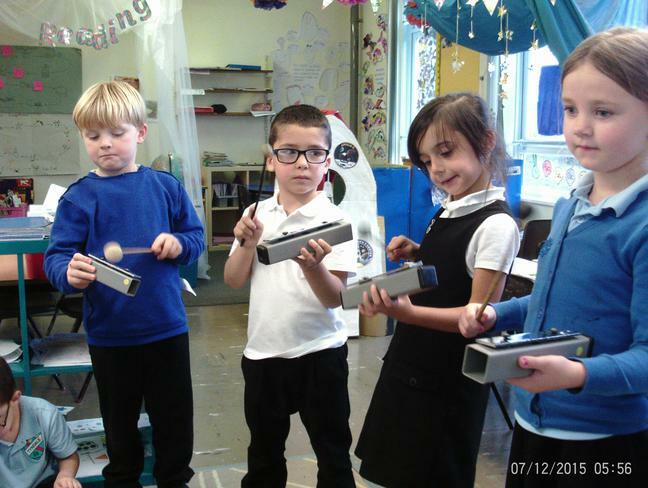 We then explored the instruments and choose some that we thought would go with the music and made us think of Christmas. 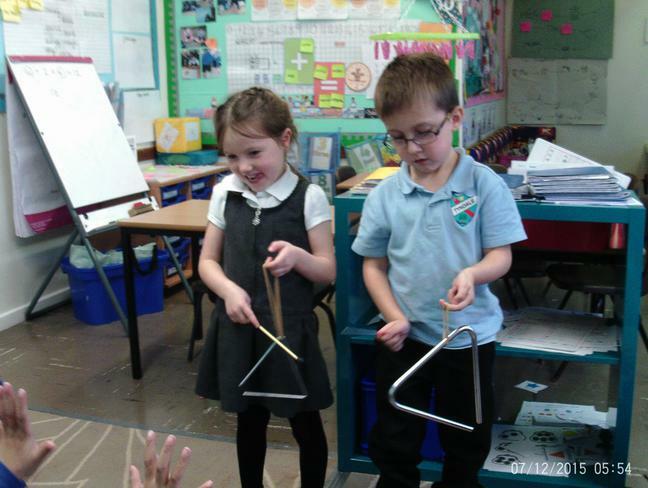 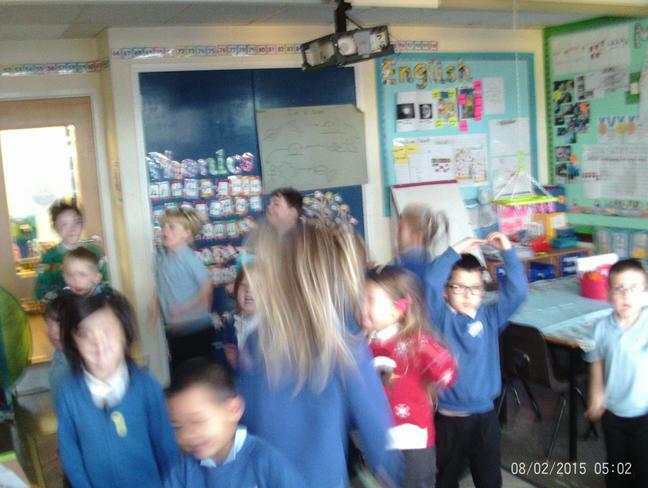 We then had a go at playing our instruments to make sounds of Christmas with the music. 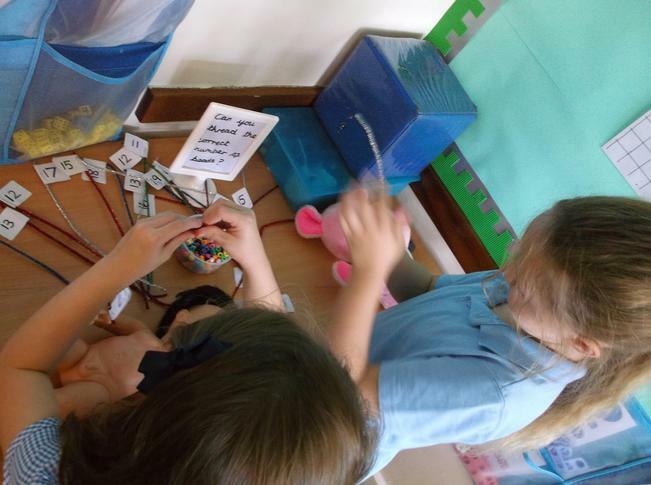 Using bead strings we have been exploring the number bonds of 10. 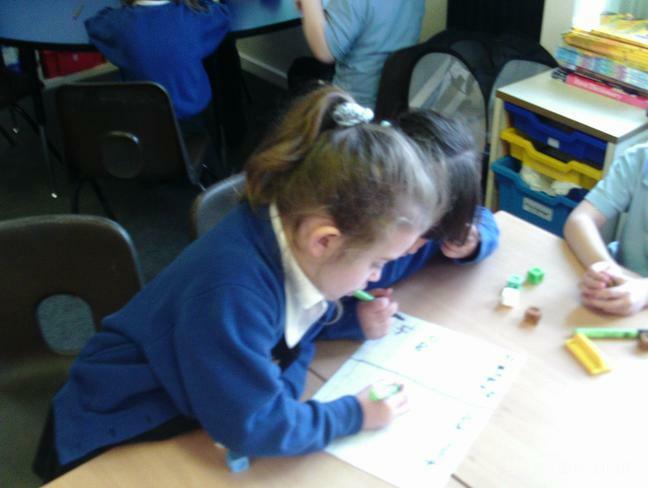 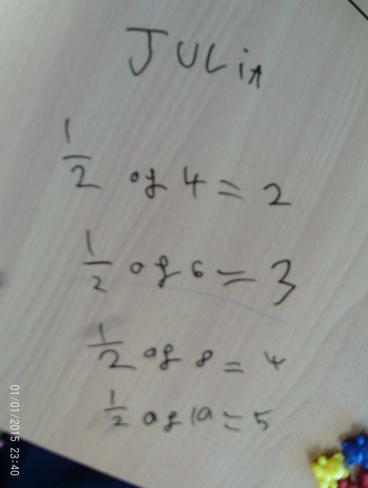 We then wrote the different bonds we found as addition number sentences. 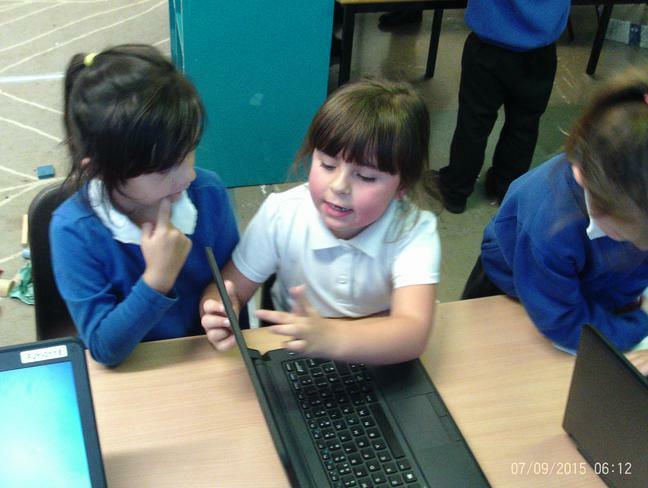 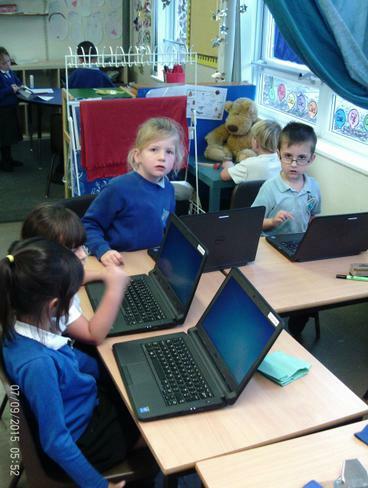 We have been learning how to log on to a computer. 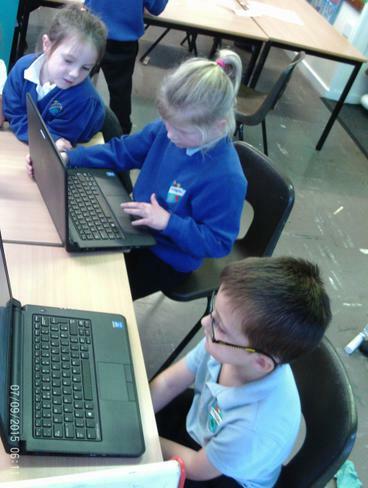 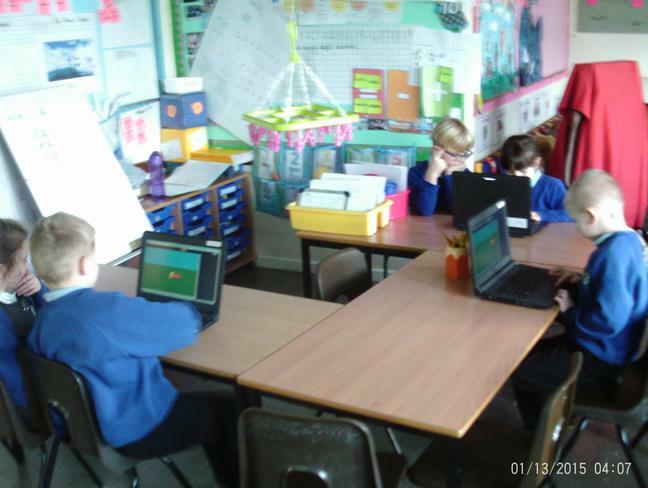 We have enjoyed using the internet to explore a website and practiced clicking on Hector the dolphin who, we learnt in e-safety can help us if we are unsure online. 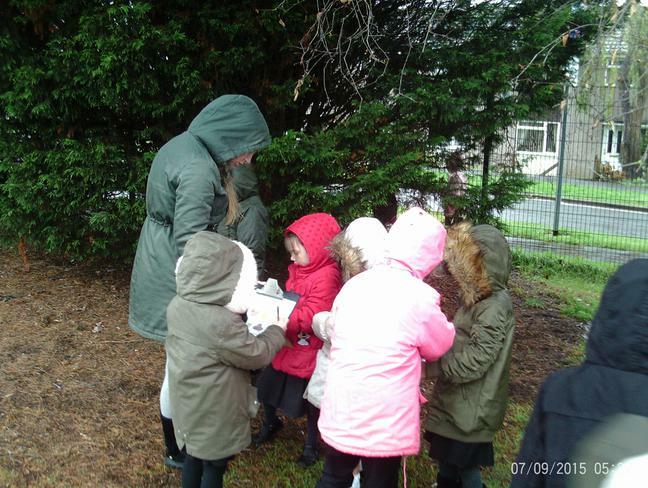 In Science this term we have been learning about the seasons of the year and how things change over the seasons. 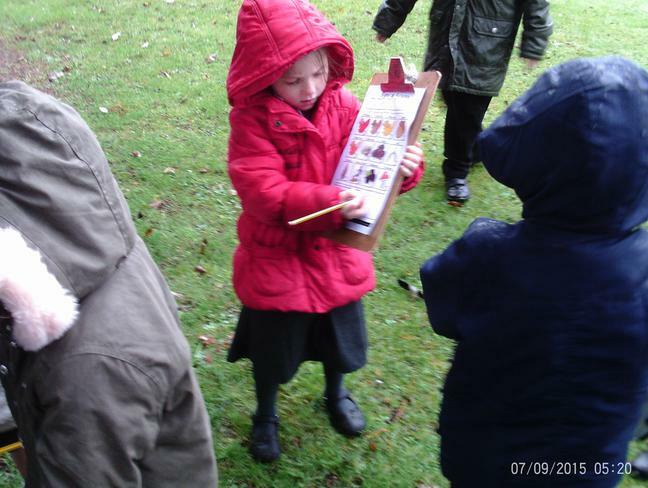 We went on an Autumn walk around the playground to see what signs of Autumn we could find. 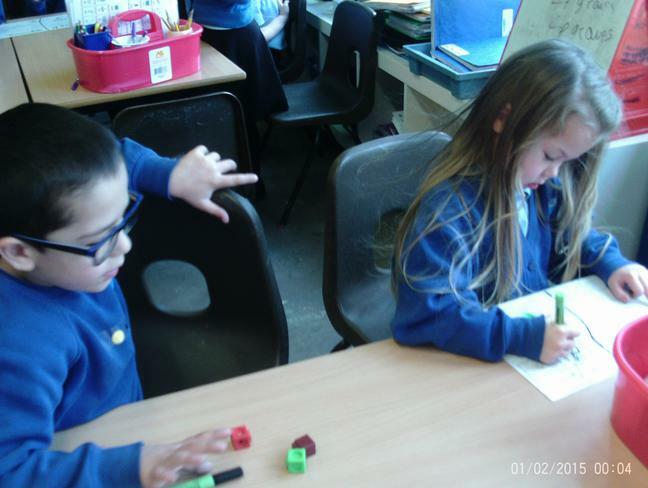 Working in pairs we completed a checklist of what we spotted. 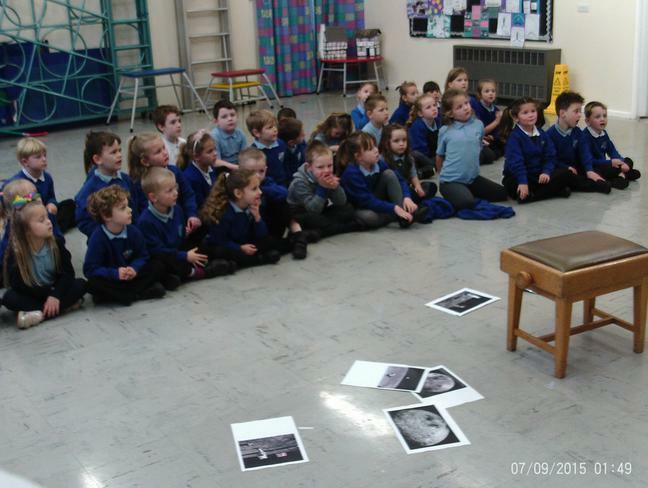 To start our topic on the Moon landing we went into the hall and discovered some clues about what we would be learning about. 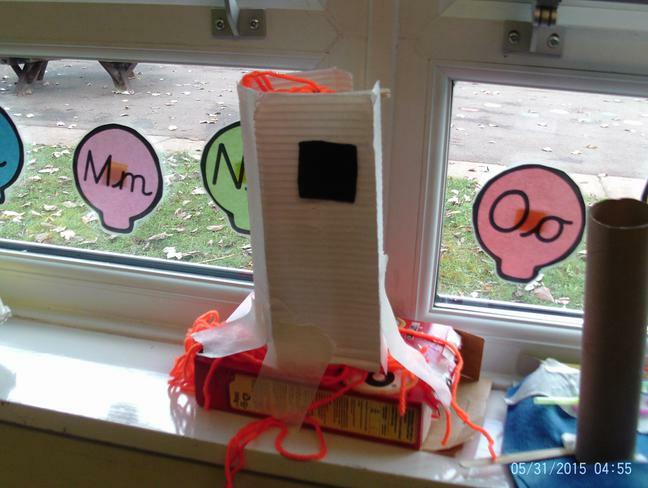 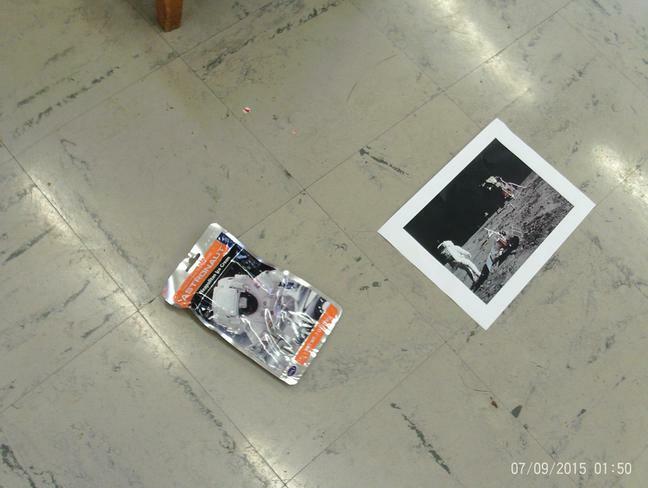 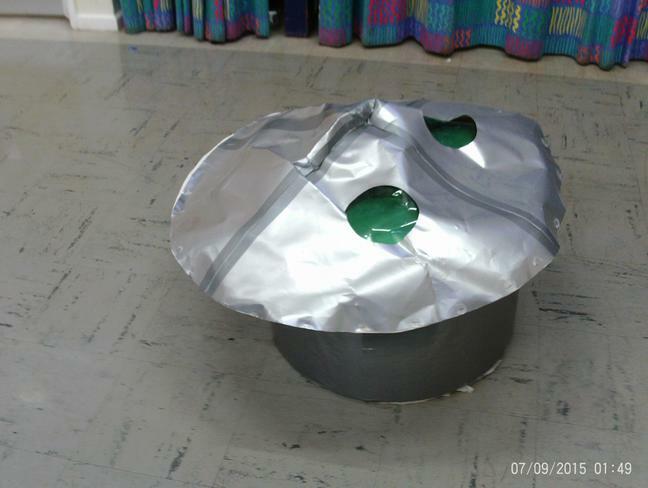 After exploring and discussing what we found we thought there had been a space crash from the Moon. 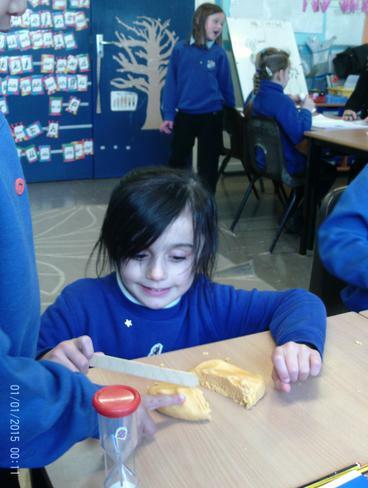 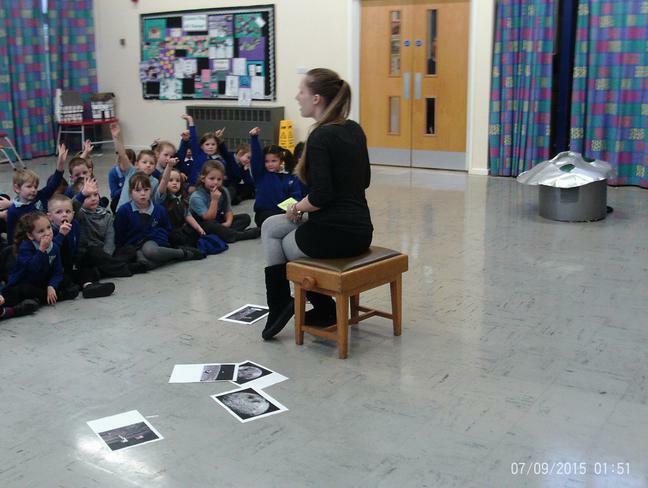 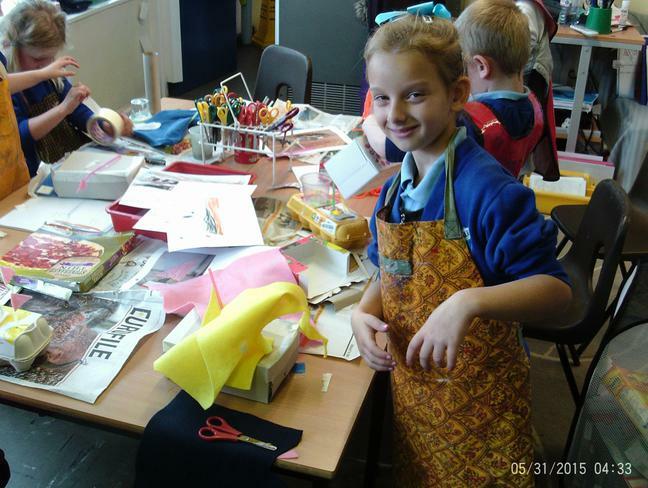 Year 2 spent time looking at the SS Great Britain as part of their topic and in preparation for their trip. 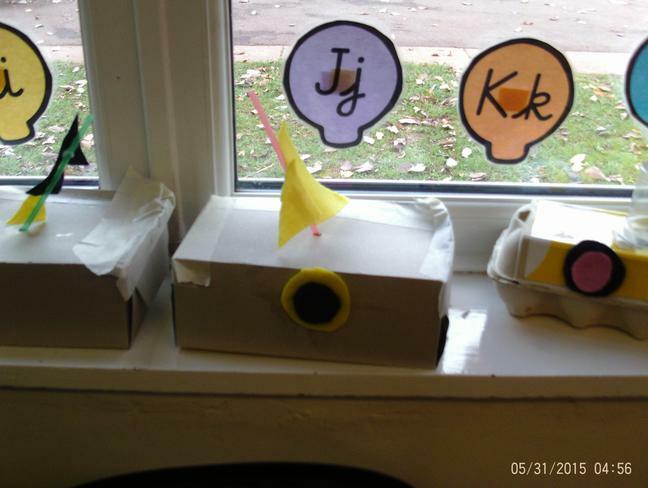 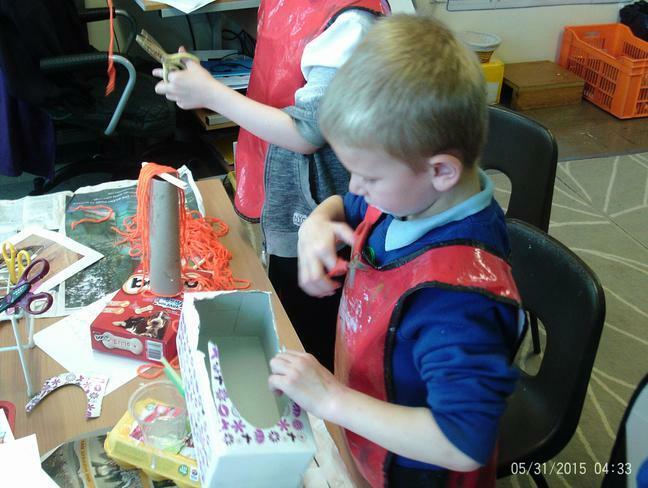 They designed boats, labelled the key features and wrote lists of the items they would need before making their own junk model boats. 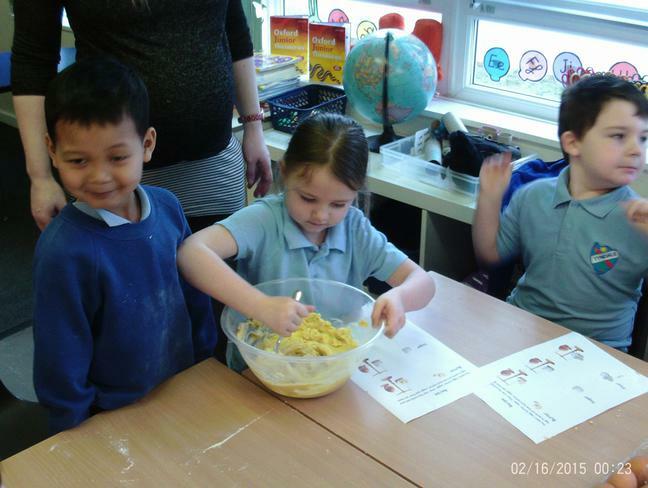 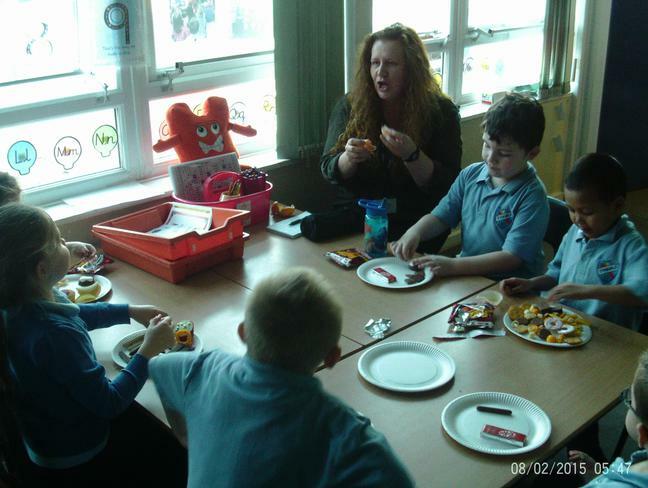 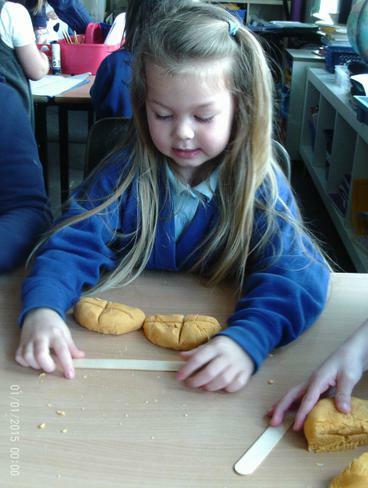 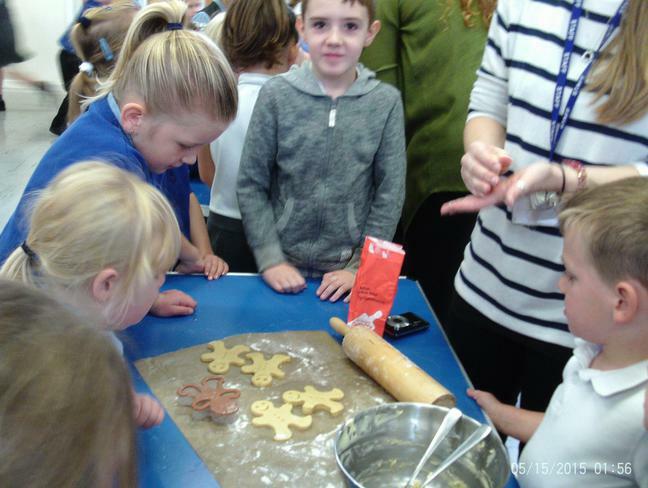 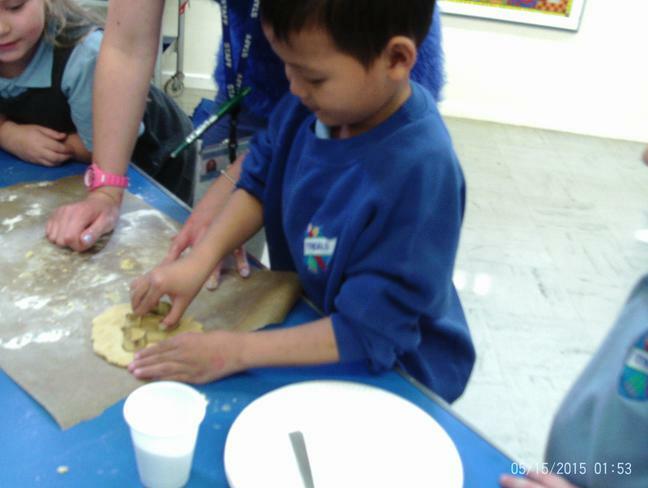 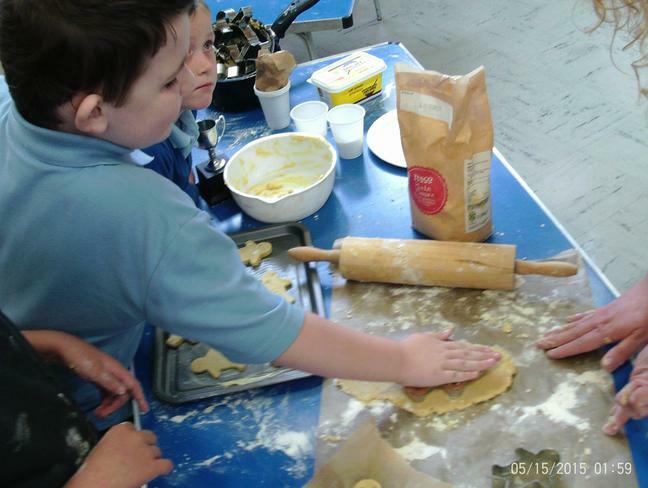 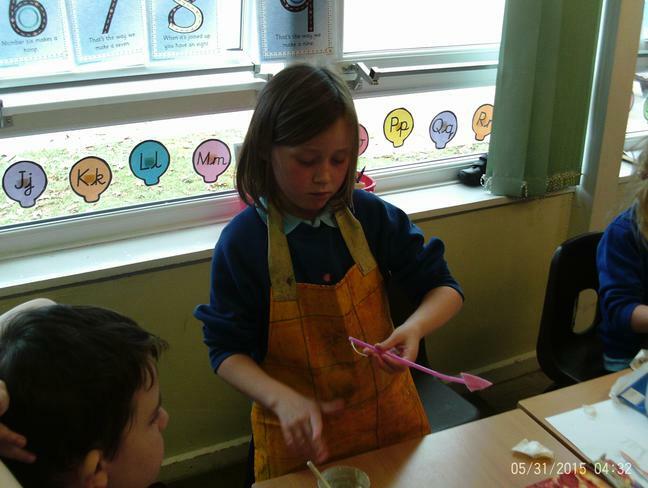 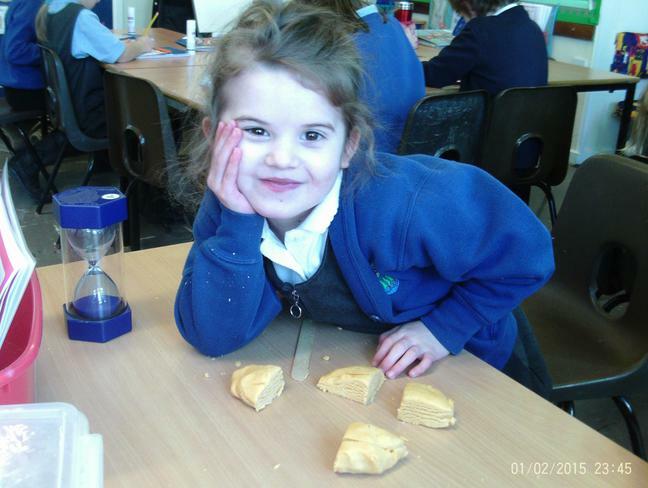 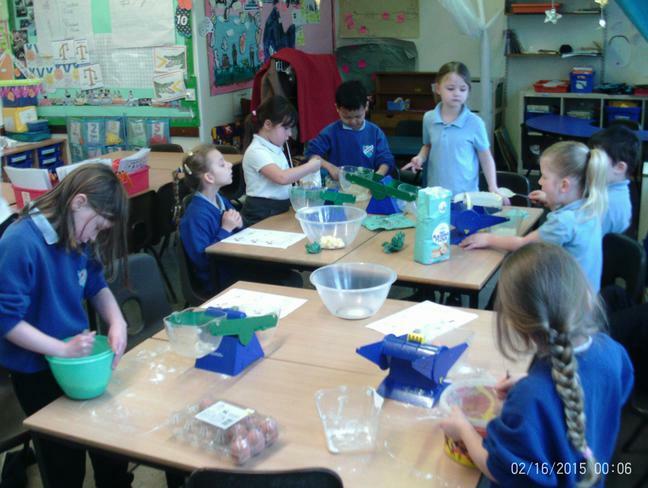 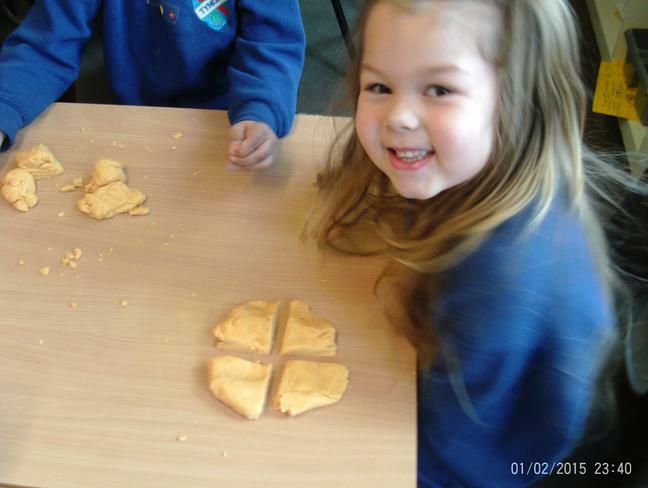 We made our own gingerbread biscuits by mixing the ingredients, rolling the dough and cutting out the shapes we needed. 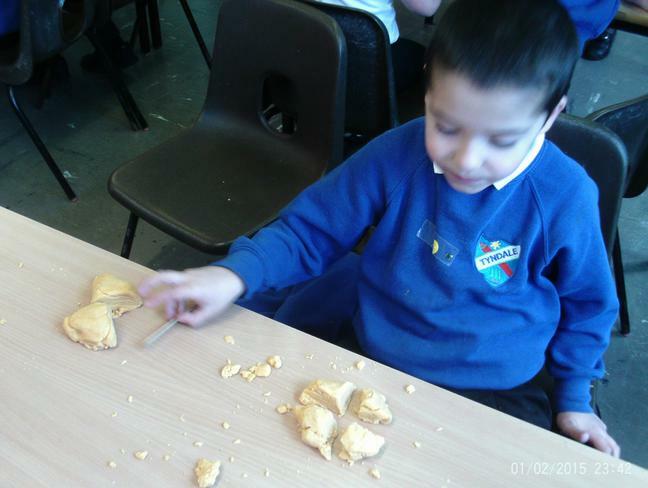 While we were trying our gingerbread biscuits we noticed the Gingerbread Man was missing! 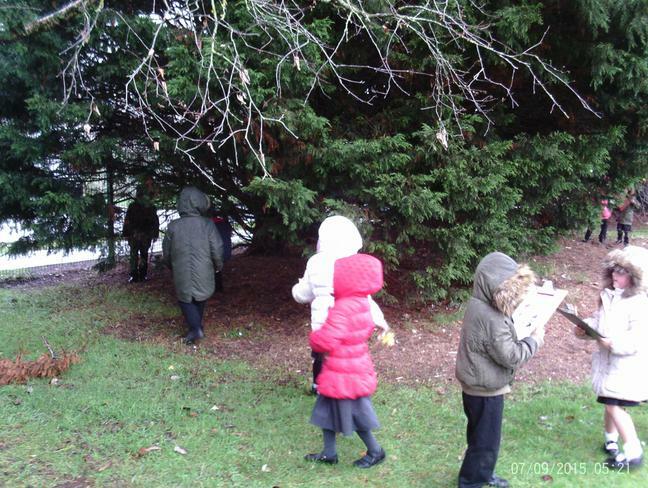 We thought we spotted him past the window so went outside to look for clues. 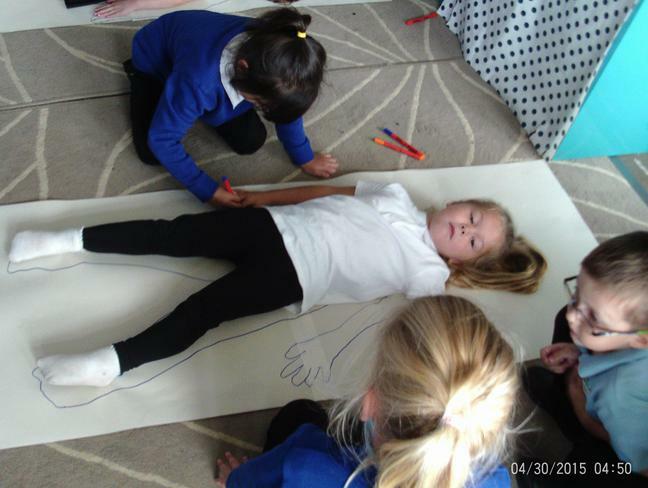 In Science we are learning the names of different parts of the body. 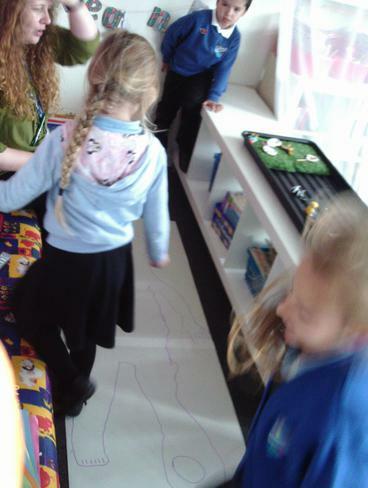 We worked in teams to draw around and label a body. 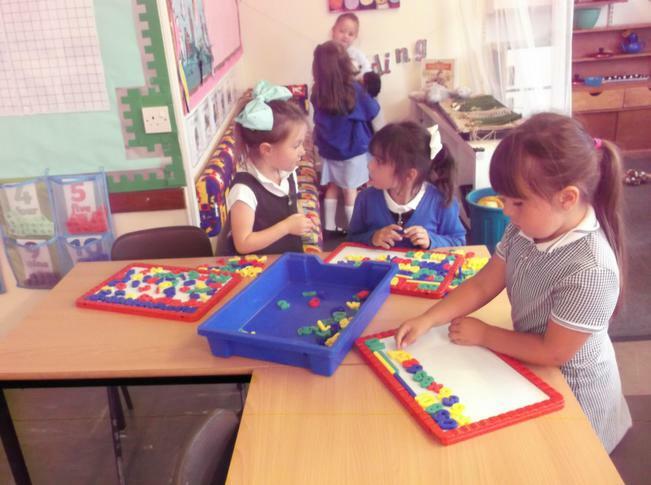 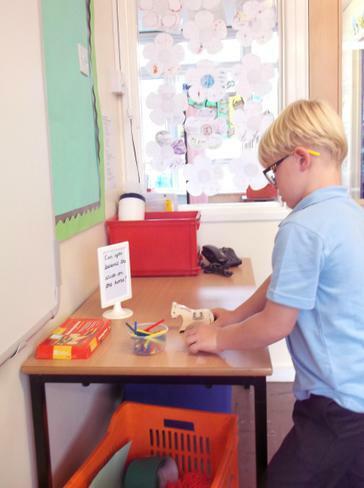 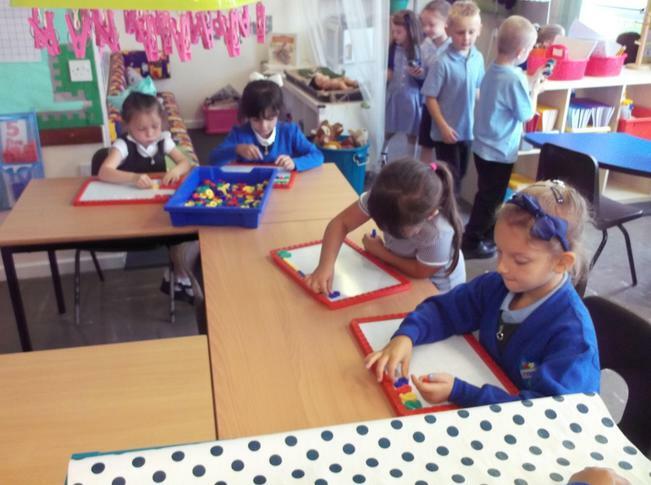 Eagle Class enjoyed exploring their new classroom on their first day back. 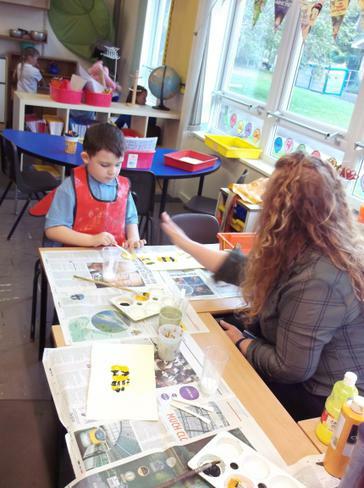 We had a go at different challenges and made bees to remind us of the 5 B's of our school.